Subtitle: I am going to be an auntie!!!! My brother and his lovely wife are expecting their first child, a baby girl, in late September. We are all so excited and looking forward to meeting Lillie Mae. 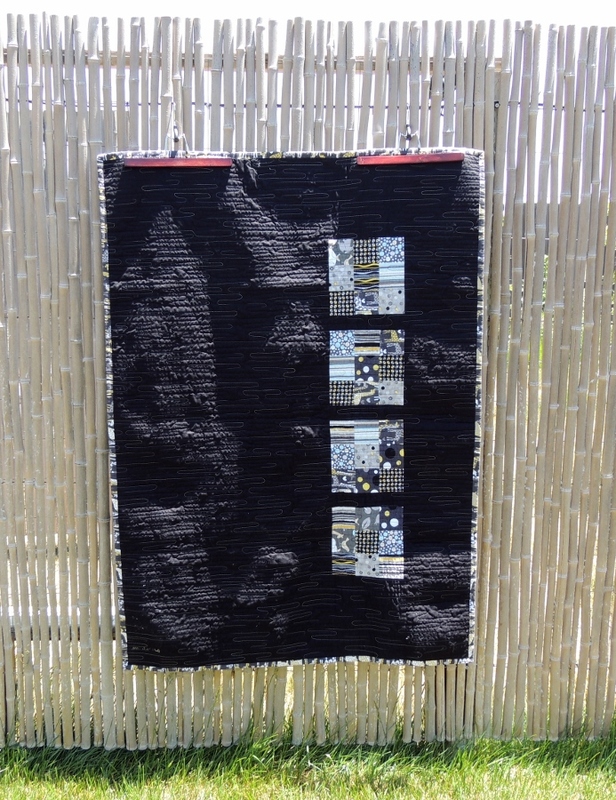 With so many quilters in the family, she is going to be covered with blankets. What a lucky lady! 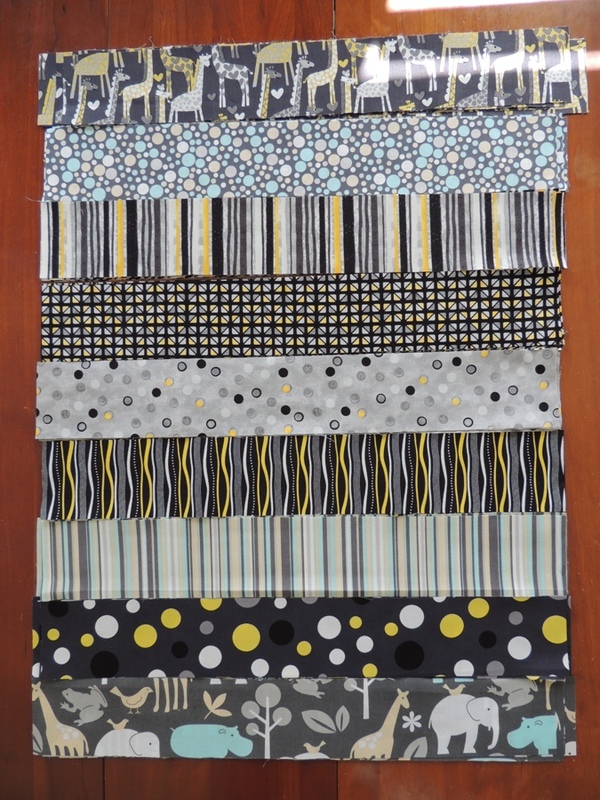 I found some fabric that I had to have when I was at QuiltCon, and I was excited that Chris and Lauren liked the fabric as well. 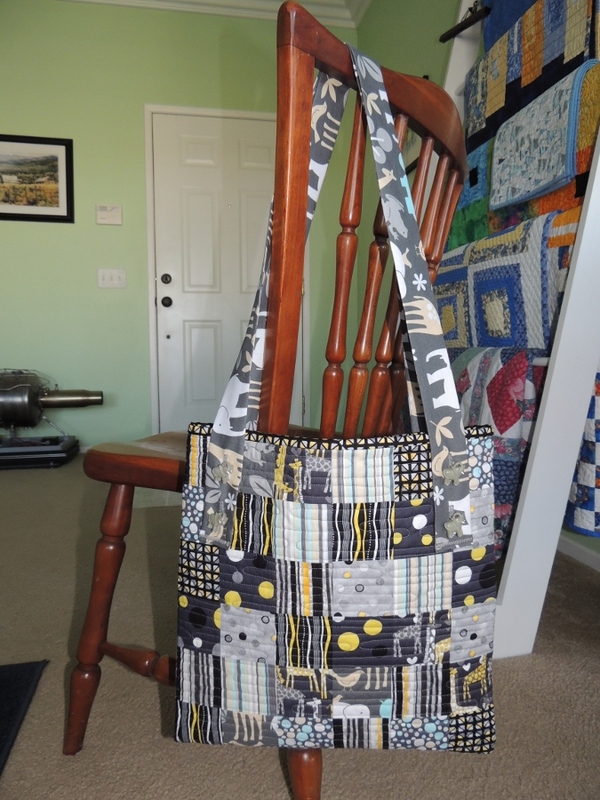 I used Elizabeth Hartman’s Nine Patch Lattice pattern, and it came together really quickly! 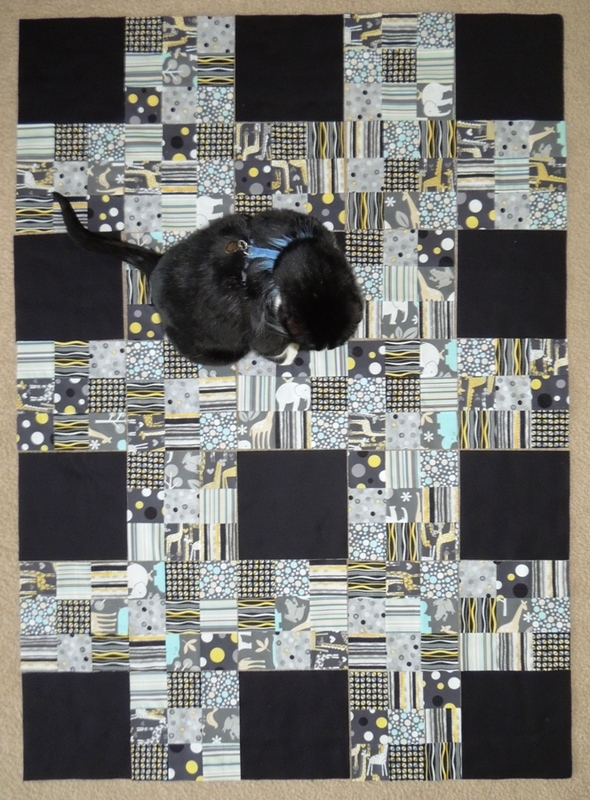 Before I did the quilting, I had to decide what to do with 8 left over nine patch blocks. I decided that I’d put them together to make a very simple tote bag. I found some super cute elephant buttons at JoAnn fabric. As another bonus I used the bag to “practice” the quilting technique I want to use on the quilt. 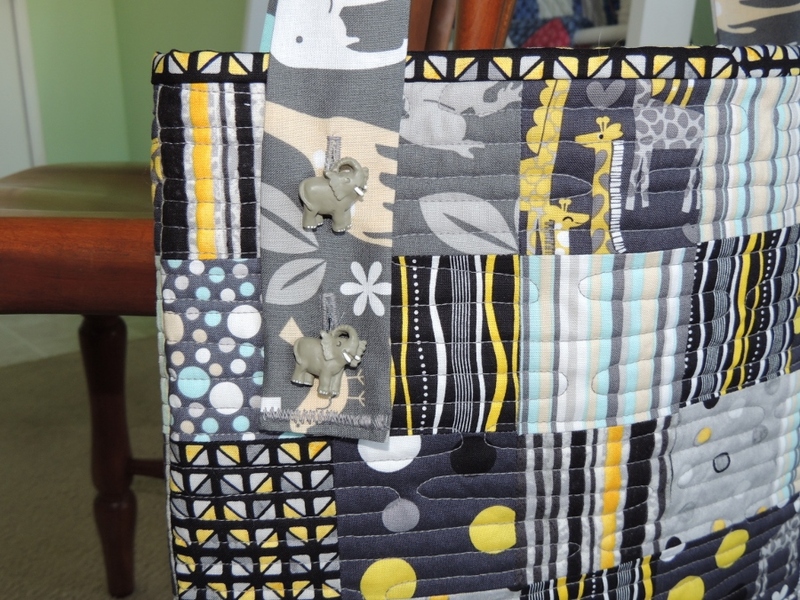 Lillie Mae Tote Bag – Elephant Buttons! 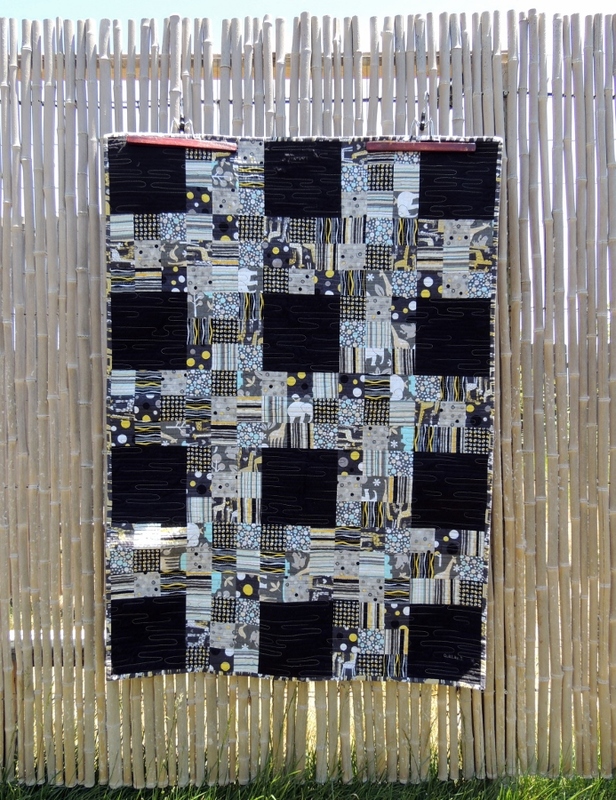 Overall, I really love the fabrics in this quilt. I can’t wait to meet Lillie Mae!